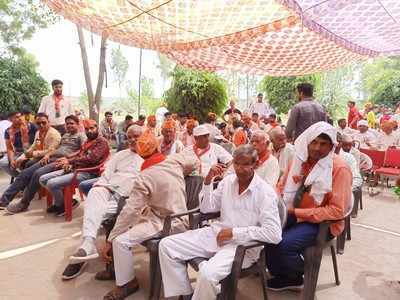 When big party leaders and their army of party workers were campaigning from village to village, with promises of jobs and development, not a single woman was spotted in the gatherings. This came as a surprise to the students of Times School of Media, Bennett University, who had the opportunity to be a part the campaign trail of Lok Sabha candidate, Union Minister of State for Tourism and State, Dr Mahesh Sharma. When students went to some homes to talk to the women, they found that the women were either feeding the cows in the backyard or cooking the evening meal on earthen stoves or tending to the children. The sight of city students drew curious looks from women in neighbouring houses who peeped from behind half open doors with their heads covered. But according to Maya Kasturi, a senior BJP party worker who has been working with women in the rural areas for more than 20 years, women are more aware of their voting rights than they were five years ago. “In fact, we know of instances when the village women have voted for a party the village men were against!” She added that higher education will make the young girls more aware of their rights. Though at this point fewer women practice their voting right, higher education will pave the way for a more active participation in the coming times.